It's no secret that the holographic craze has been likened to the fascinating mystique of a unicorn, and really, the comparison is fitting. After all, the supernatural creature represents the essence of legend, immortality, and longevity, and really, hasn't the holographic trend proved to be similar? (We kid… kind of.) Though completely enchanting to look at, we initially doubted the staying power of the look, but as it turns out, it's been a couple years, and if sizzling trend forecasts, makeup tutorials, and sky-high Google searches count for anything, holographic is here to say. 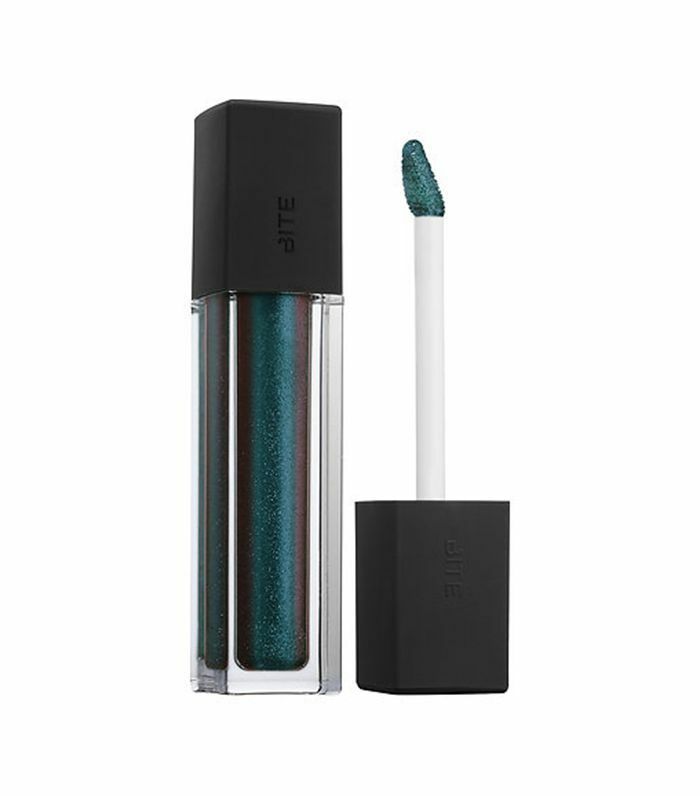 That being said, some holographic makeup products are more wearable than others, and lip glosses are one such example. And since we're prematurely tiring of our oxblood mattes and signature nudes, what better time to huddle up 10 of the best holographic lip glosses our *admittedly jaded* cones and retinas have ever laid eyes on? As if the pretty holographic cast to this glittering gloss wasn't enough to draw you in, the formula also features peppermint, plumpers, and a nourishing blend of avocado, shea, and murumuru butters to lock in hydration. For a super-shiny wash of gloss that would make even a unicorn jealous, Winky Lux's whimsical blend of vitamin E and food-grade vanilla gets the job done in a deft, delicious manner. Think of it as your '90s Lip Smacker obsession revisited. (Just more mature.) For the best holographic finish, we're partial to the Unicorn Tears shade, but for a more subtle iridescence, Birthday Cake is equally mesmerizing. 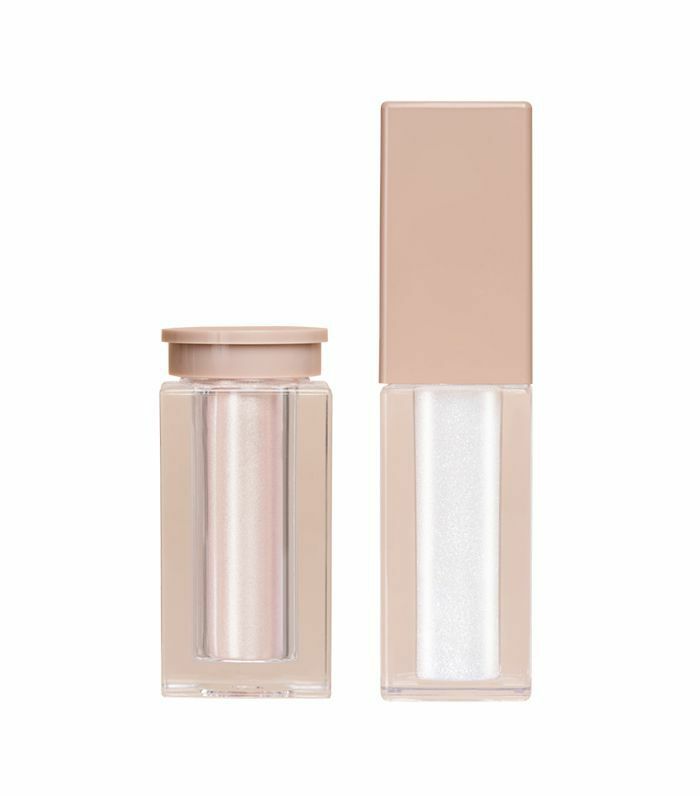 Available in 12 different shades, Huda Beauty's beloved Lip Strobe gives you the option of a different holographic lip gloss for each day of the week—and then some. The collection ranges in pigment and coverage, so feel free to layer and experiment with complete abandon. 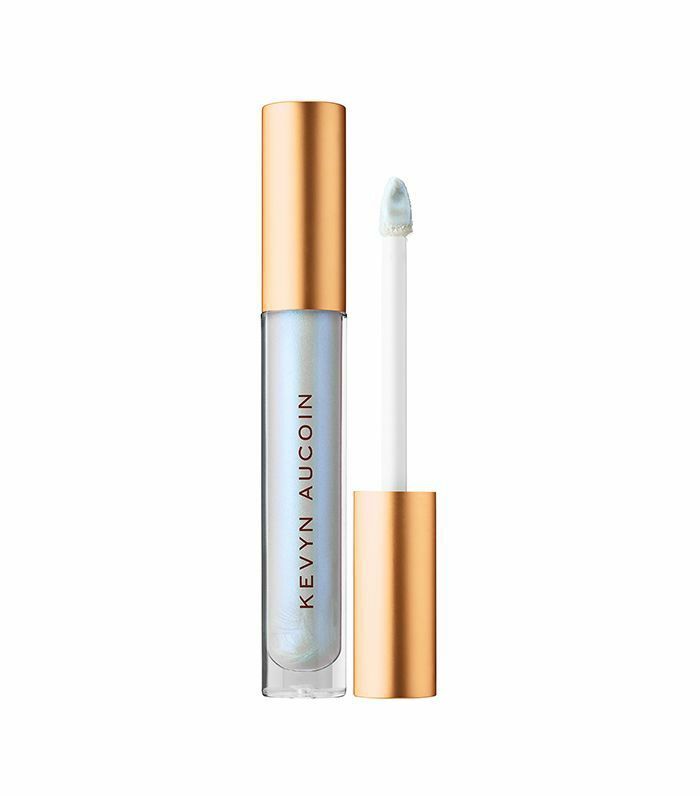 Kevyn Aucoin's Molten Liquid Lipstick might wind up as one of your more expensive holographic lip gloss indulgences, but honestly, the incomparable finish, pigment, and staying power make the investment 100% warranted. We're not sure why this editor-favorite gloss is on sale. But really, who's asking questions? 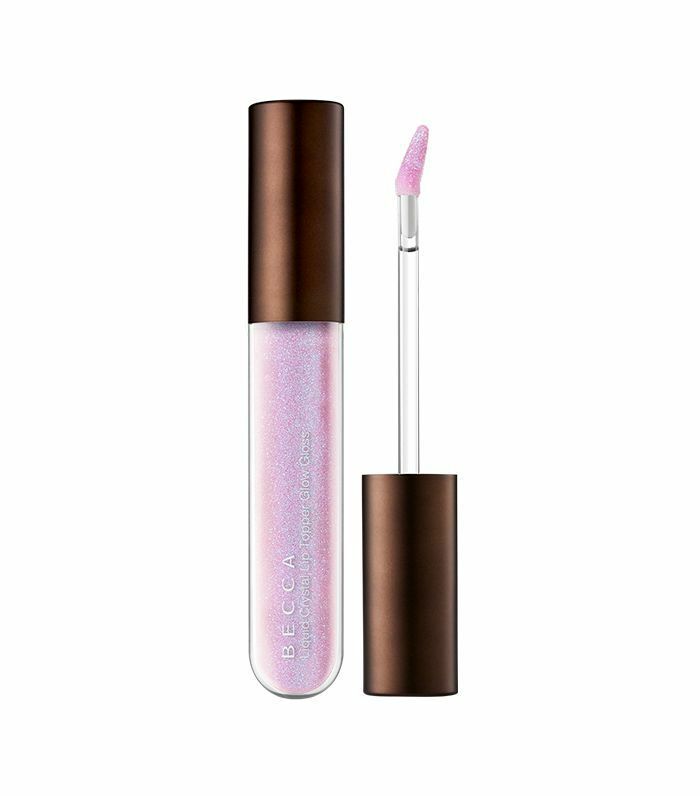 We suggest getting this best-of-the-best holographic lip gloss while it's hot. And trust us when we tell you that the "kaleidoscope pearls" do not disappoint. 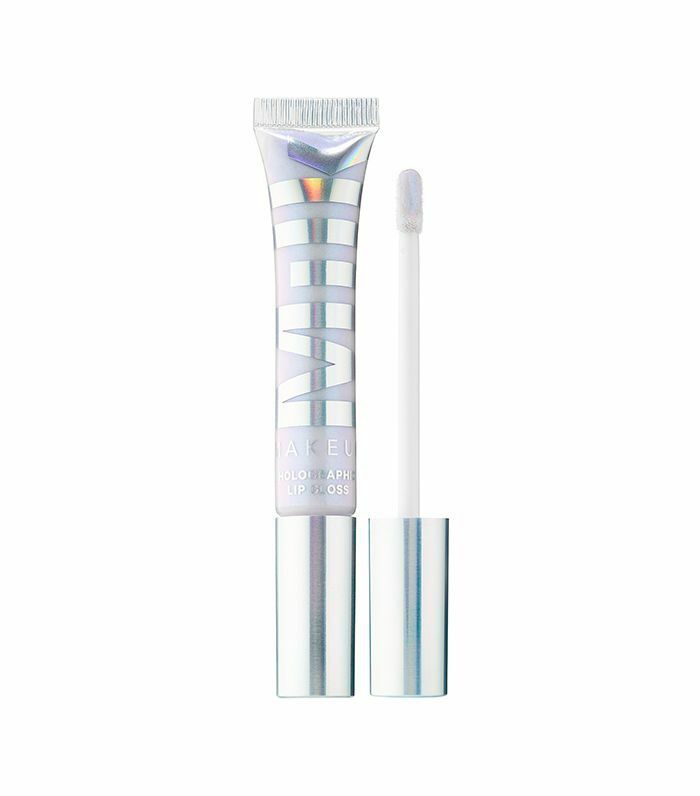 Truth: This "iridescent lavender" holographic lip gloss is a Byrdie HQ favorite and we don't expect it to ever fall from grace. Plus, it also happens to do superb things for your lip health (and allure), as it's chock-full of luscious ingredients like meteorite powder, twilight pearls, avocado oil, coconut oil, and mango butter. What's great about the holographic trend (especially the best lip glosses) is that you can really customize the look to work with the aesthetic you're going for. And if you happen to be in the market for super-high drama, this peacock-inspired pick from Bite is the chosen one. Swipe it on top of your favorite dark lipstick for an intoxicating prismatic finish. 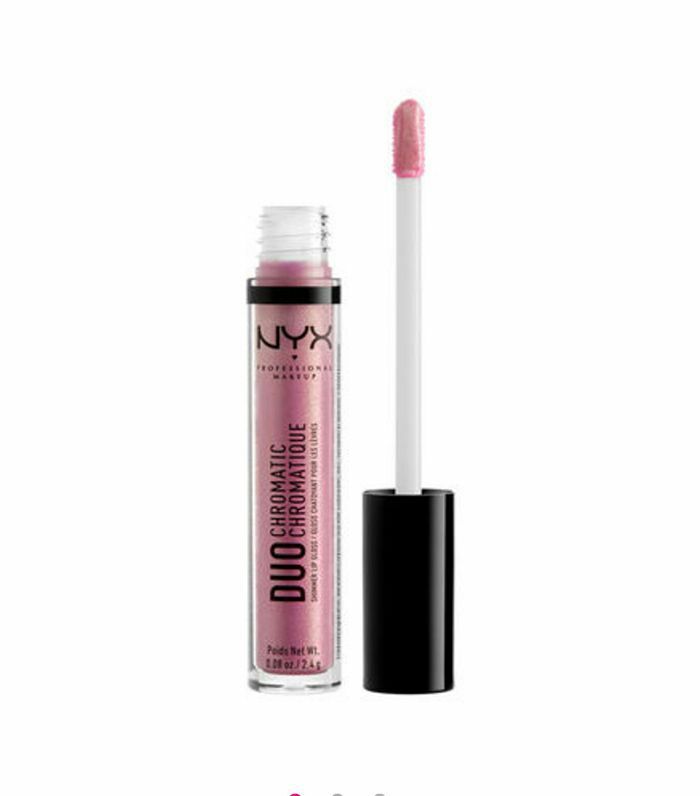 Thanks to its pretty pink hue, this holographic lip gloss from NYX is a touch more subtle but still fits the bill where eye-catching pearlescent finishes are concerned. Plus, it never feels sticky post-application. If you want to channel your inner Kardashian and rock a shimmering holographic lip simultaneously, Kim did you the ultimate favor last November when she launched five highlighting powders and corresponding iridescent lip glosses. Since they're all relatively neutral in tone, they're supremely wearable but also satisfyingly light-catching. 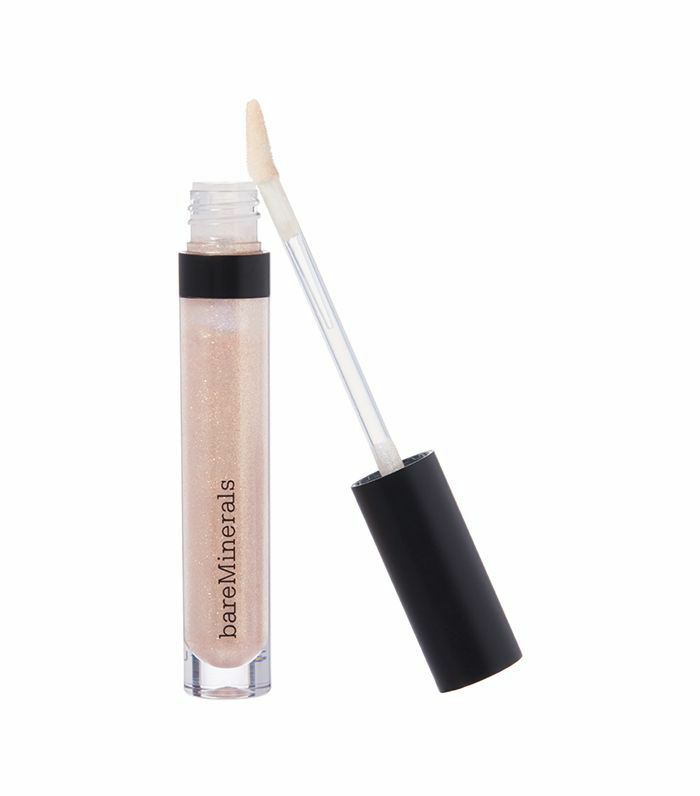 A Byrdie editor favorite (I hold Editorial Director Faith Xue accountable for my personal addiction), this barely holographic lip gloss is the baby step gateway gloss for those who are timid to dip their entire toe into the trend. 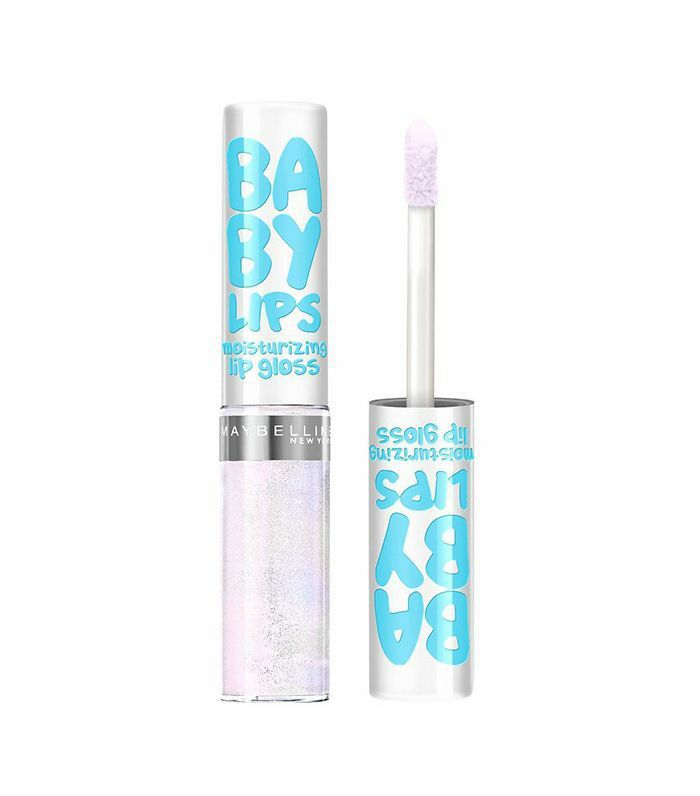 For the most part, the gloss looks clear, but when your lips hit the light in a certain way, you'll see a holographic sparkle, courtesy of tiny flecks of pink, purple, and blue. Really, it's so pretty.